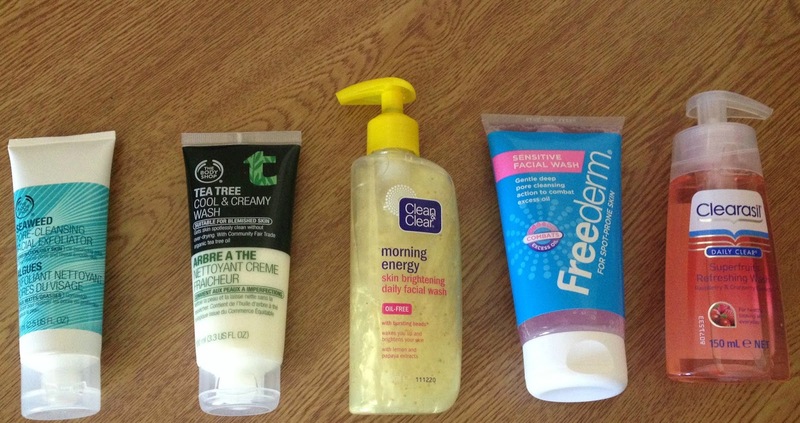 This afternoon, I went into town with my mum, as she wanted some help choosing face washes, so I thought I’d show you what we got. We chose this, as she was looking for a scrub to use twice a week, to keep her skin healthy. I did my research and this had really positive reviews, so hopefully it works well! I got this for myself, as you may have seen in my most recent Lust List I featured this because Essie Button recommended it in her May Favourites. I’m really excited to try this, as it has amazing reviews, so after I have used it for a while, I’ll definitely be doing a review. Mum chose this, as she said it looked pretty… But also, I have the orange version of this and she liked using that, so she wanted to give this one a go. She also mentioned it smells lush. Mum got this for my sister as she has sensitive skin, and Freederm is a good range for fighting blemishes. Mum decided to get this as a back up, in case she didnt like the clean and clear one, as I have used this before and it worked nicely, also mum is a fan of things that smell nice, and this smells amazing! If you want to see any reviews, let me know. Also I might put an edit and show you how my mum gets on with these! Her main reason was to keep her skin clear, and prevent spots.